I would like to bring your attention to people over here in Vellore. People who are daily dreaming about food and basic necessities in their life. I would like to make some changes in their life but I alone can’t make this possible. But It can be done with the help of some kind hearted people like you. Some small things make big things happen. 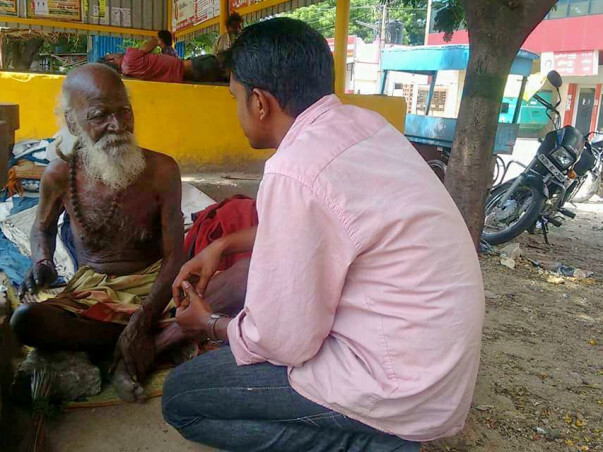 There are around one thousand homeless people in Vellore. 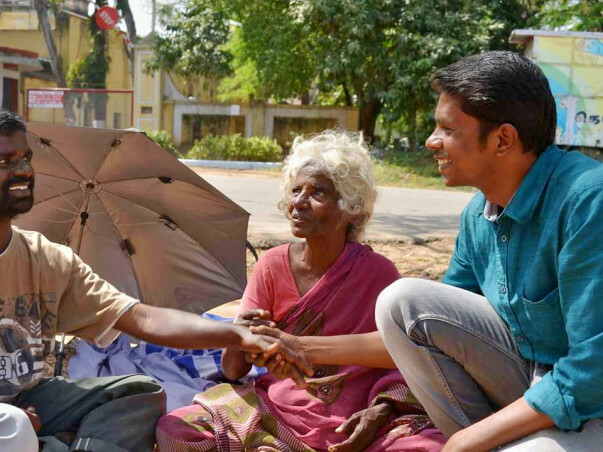 In that thousand some people have diseases like leprosy, some are disabled and some are mentally affected. Lots of homeless people here have diabetes because they are not eating proper food and most of the time their only option is rice. Some people have been living on the streets for more then ten years. Staying in the same place in all weather conditions. Some of these people cannot walk, so they cannot walk to get food or medicine. They will just sit in the same place and if someone gives them food they can eat. If no one comes they do not eat. 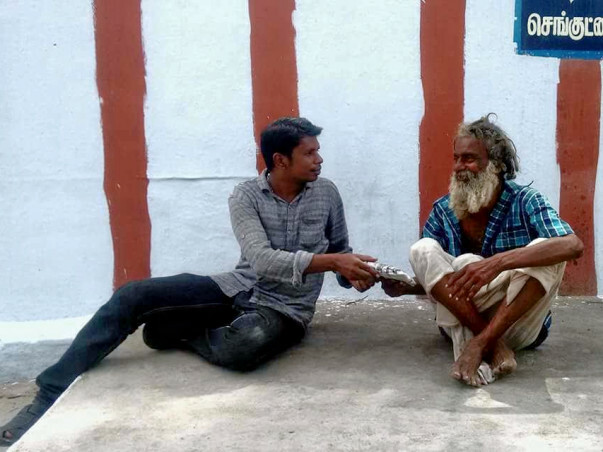 I have come across people with broken legs or hands that can’t afford any treatment. These people are just tolerating the pain and living. I realized many things when we were on the field. We thought only to feed these people. But when we saw that they were suffering from disease, broken bones and poor hygiene we knew we had to do more. One lady even asked if we could supply blankets, so they can manage the cold at night. Seeing these things happen just makes me get more involved. People dream about property, houses, cars and luxury items. But these poor people dream about the food that will be thrown away in the bin. If they get fresh food they are the happiest people in the world, and we want to make them happy. We may not be able to feed all these people in Vellore. But we can do as much as we can. We hope now we have started this will raise awareness and other kind-hearted people will start following our example. In some places people need love, care and smiles. In other places people need some essential needs, such as food to survive. In these kinds of places we cannot hug them or make them smile when they are dying of hunger. The raised funds will be used to feed homeless people and give them cloths . 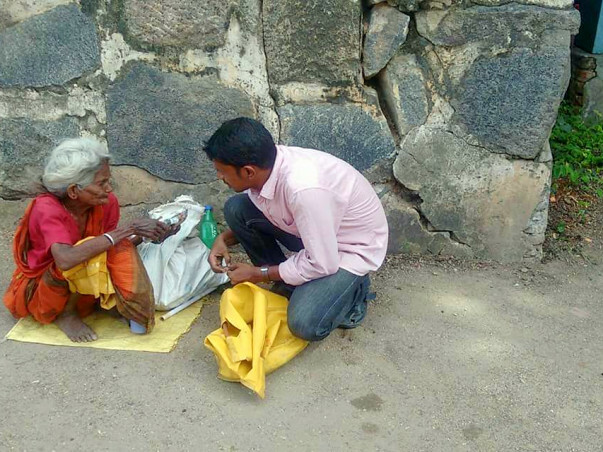 Every week we are distributing 200 meal to the hunger each meals cost 50₹ and in a month in a average we are distributing 800 food packets . 800*50=40000 per month . If we want to feed this people for a year then 40000* 12 =480000 only for food .. The number of food packets will be increased some times .. We are not only giving them food but also cloths ..In the remaining funds we will manage to give them cloths .